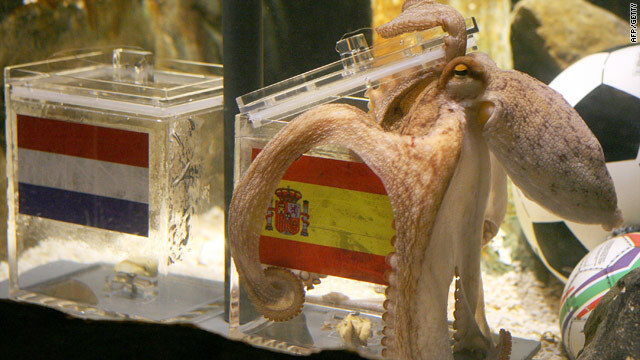 Paul the Octopus correctly predicting the outcome of the World Cup final between Spain and the Netherlands in July. I guess no one here is a cephalopod fan. sheesh. I simply didn't know what to say, though I did find him to be rather fascinating when I saw the news stories about his predictions while the World Cup was going on. John and I heard about him long ago He was sad. He likes Octopuses because they are smart creatures. Gentlemen, we can rebuild him. We have the technology. Better than he was before. 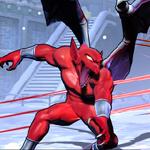 Better, stronger, faster. God, I bet Paul was DELICIOUS. Yes, yes...let's clone him. Mmmm... takoyaki.